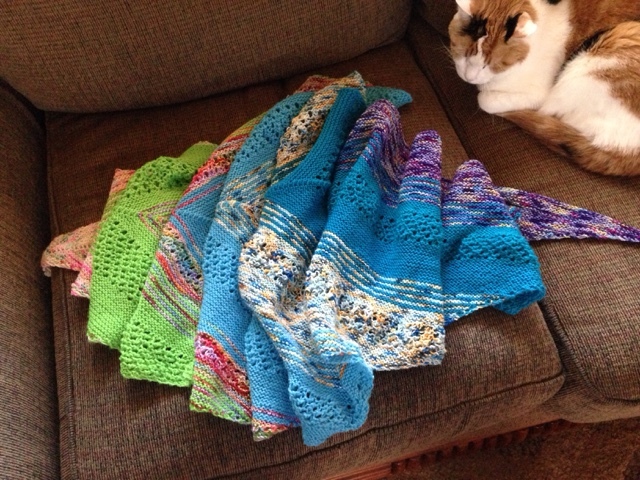 I have been working on the usual things blankets, socks and I have finished a very nice shawl. The Find Your Fade shawl that can be found on Ravelry. Ravelry makes it so easy to find knitting patterns, see finished projects and purchase and then download so many patterns. I really enjoyed this shawl pattern and I will likely make another. Here is a photo of it finished however unblocked. Looking forward to wearing it this winter.